Time for some melodic dance music! SLANDER have teamed up with SAYMYNAME and Feli Ferraro to deliver an awesome new single I Can't Escape, out now on Insomniac Records. Loving Feli's breathy vocals, the soothing, emotive piano melodies with stabbing basslines and serrating synths that jar to the bone. Stream it below! I Can't Escape opens with Ferraro's voice over orchestral melodies as she builds tension with lyrics like "In my head I know it’s too late, I’m locked in and I can't escape" before SLANDER and SAYMYNAME unleash their signature aggressive, assaulting drop that is guaranteed to please even the most discerning of bassheads. 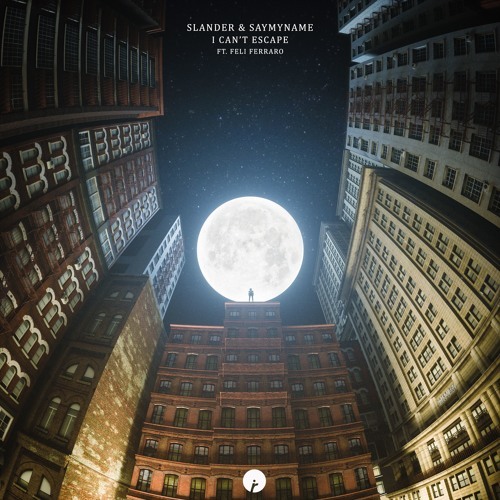 I Can't Escape is a prime example of SLANDER's mastery of turning emotions into turbulent, cathartic music that always commands the crowd.